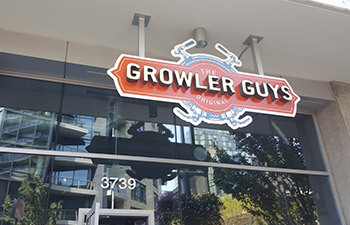 The time has officially come for The Growler Guys® Portland South Waterfront location to open it’s doors. We didn’t want to just unlock the doors and call it a grand opening… what fun would that be? Instead we lined up some of the most popular breweries around to come by and share some of their best. This is an event you want to mark on your calendars. Meet others who share your passion for great brews while tasting some of the finest craft beers and ciders on the West Coast. You can expect some swag from the breweries, as well as a special offer you can’t refuse. The first 1,000 growler fill purchases will come with a free 32 or 64oz growler bottle! Considering there will be 48 taps of beer and cider, as well as 7 taps of kombucha to choose from, it shouldn’t be hard to take advantage of this deal. Check out our South Waterfront facebook page for updates. That’s what we call an all star lineup!